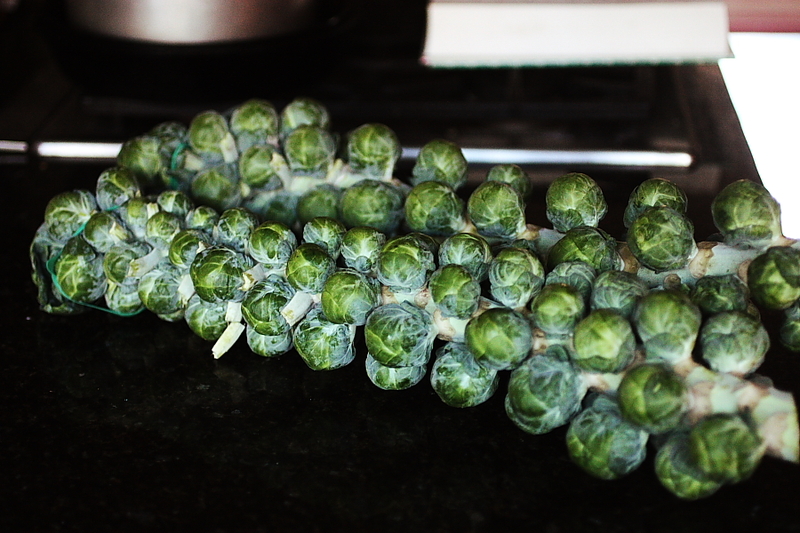 If you had asked me two years ago how I felt about Brussels Sprouts, I probably would have made some horrid face and said something along the lines of: “they’re too bitter,” or “ugh – gross, tiny cabbages are funny looking and should be outlawed” or maybe even “DIS-gusting. Blech.” Which is mature. Had you told me two years ago that Brussels Sprouts would be my favorite dish at an upscale Steak House, or that I’d be preparing them weekly for my family, I most likely would have laughed at you. Maniacally. But, ‘lo and behold, you would have been right. Have I mentioned that I hate it when you’re right? Except in this case, where I’m delighted, because now I have a whole new vegetable added to my repertoire. And what a versatile vegetable it is. You can roast it at high heat, drizzled with olive oil, salt, pepper and garlic. I could eat these little babies like candy. Sometimes I’m not sure if they’ll even make it to the dinner table, since I just stand over the skillet and eat them one by one by one. So good. If they survive that, then I sometime serve them over pasta carbonara (in place of the kale). They’re also good as a base in this garlic ginger chicken recipe. 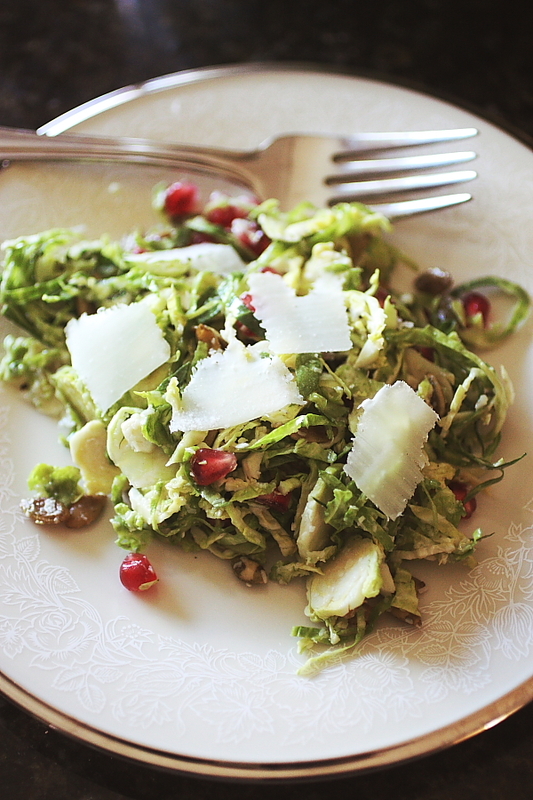 Or maybe raw, in a shave salad with pomegranate arils and pecorino romano cheese. I made this at Thanksgiving, and it was a big hit. It was a variation on this recipe from Food 52. Last night, though, I decided to try them on pizza, and I may have just died and gone to heaven. 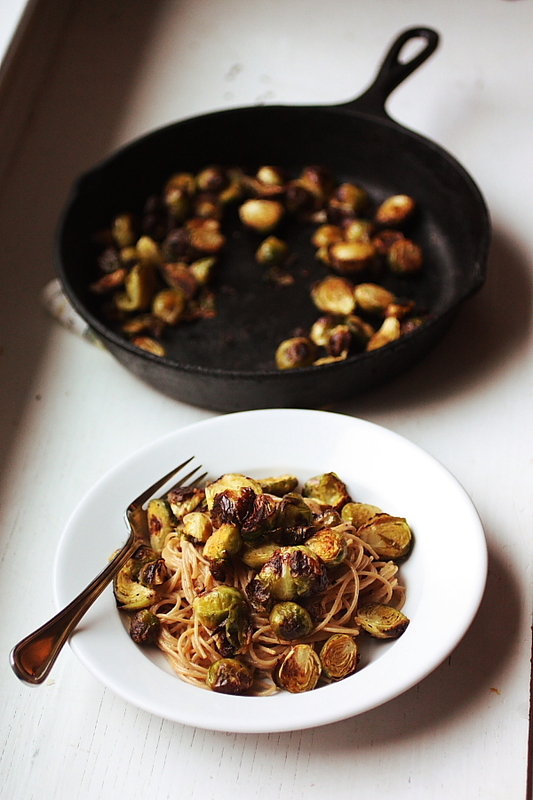 Seriously, y’all – THIS is my new favorite way to consume Brussels sprouts. And I do realized that I’m sometimes prone to hyperbole – but not in this case. This right here is good stuff. 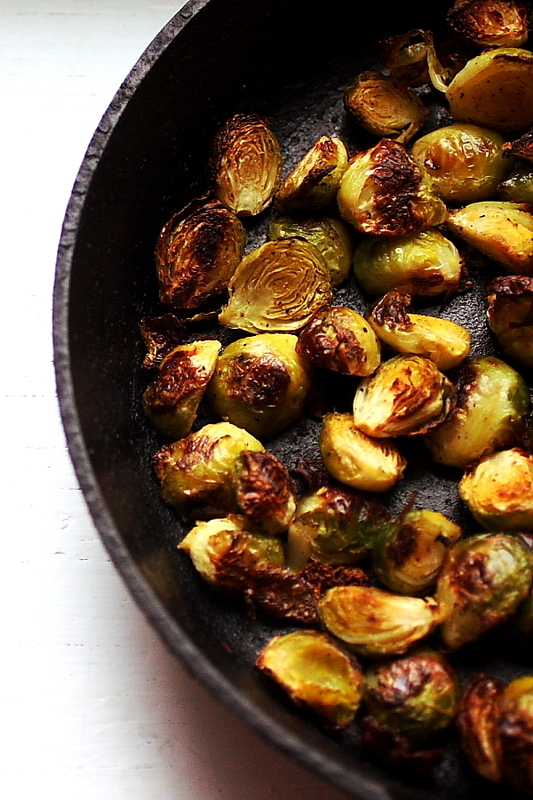 The sprouts get good and caramelized, which gives them a sweet, nutty flavor. They sit on a base of heavy cream and mozzarella cheese, and are complimented by salty bacon and mild red onion. 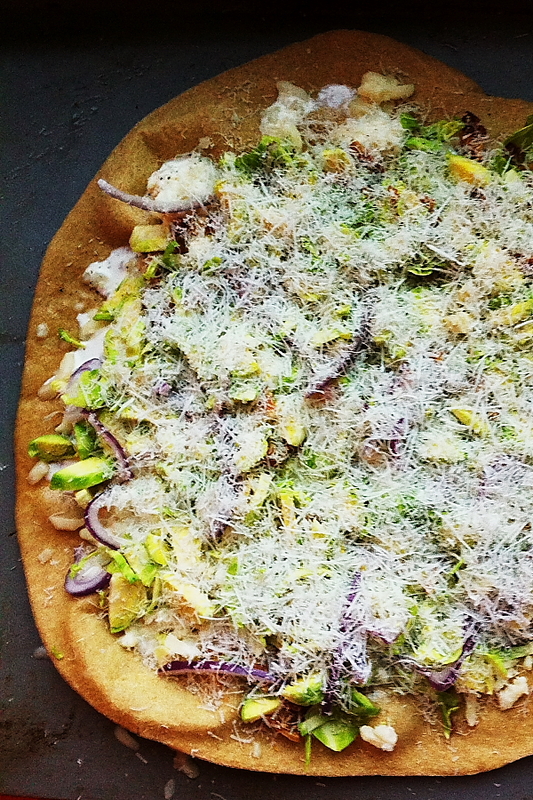 The whole thing is topped off by sharp, tangy Pecorino Romano cheese, which just rounds out the whole experience. I ate three pieces, and could have probably finished off the entire pizza, but I guess that might have been excessive (plus, my husband probably wouldn’t have appreciated it very much). 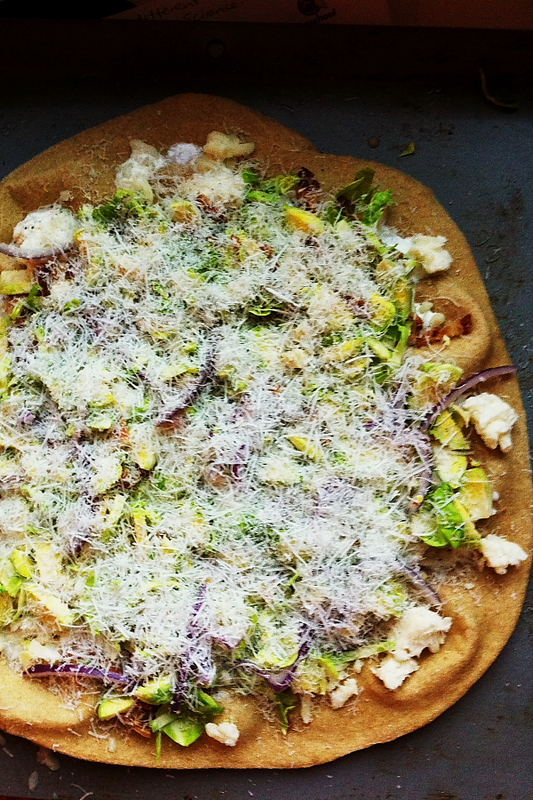 Roll out your pizza dough to a 12-inch diameter circle. I’ve recently purchased a Zojirushi breadmaker, and have been using their pizza dough recipe (subbing freshly ground wheat flour for the bread flour the owner’s manual calls for). I can’t say enough good things about this machine, but will save the details for a dedicated post. Drizzle the raw dough with olive oil and a sprinkling of salt and par-bake on a baking sheet in your preheated oven for about 5 minutes. Remove from the oven and place on a pizza peel. Bake for 10 minutes, or until the cheese is melted and bubbly and the sprouts have begun to caramelize (they will get brown and crispy on the eges). I apologize in advance for the randomness of this post. I’ve had a few things that I’ve wanted to talk about lately, and just haven’t had the time to sit down and do so. So, now that I have your attention, here goes. A couple of weeks ago (or maybe it was just last week, I’m not sure), I posted these Pear Crespelle, and I mentioned that I’d made the ricotta cheese from ingredients I had at home. An anonymous commenter requested that I post the ratios of the recipe, so I’m going to do that at the bottom of this post. In other, somewhat related news, I’m starting a 28-day diet challenge tomorrow. The funny part about it is I’m not supposed to eat cheese while I’m participating. So, I made cheese for this post, but I’m also giving up cheese in this post. Sometimes life is just funny that way. Don’t worry, I don’t plan on giving up cheese for good, but I do want to try this Eat Right America diet to see what it’s all about. Throughout the challenge our local Harry’s Farmers Market is offering recipes, store tours, guest speakers, lectures and cooking classes to compliment the stages of the challenge. The whole point is to increase the number of nutrient-dense foods in your diet. I’ll be blogging bits of the challenge here, so if you’re interested I’ll let you know how it goes. Another thing we’ll be cutting back on is animal proteins. 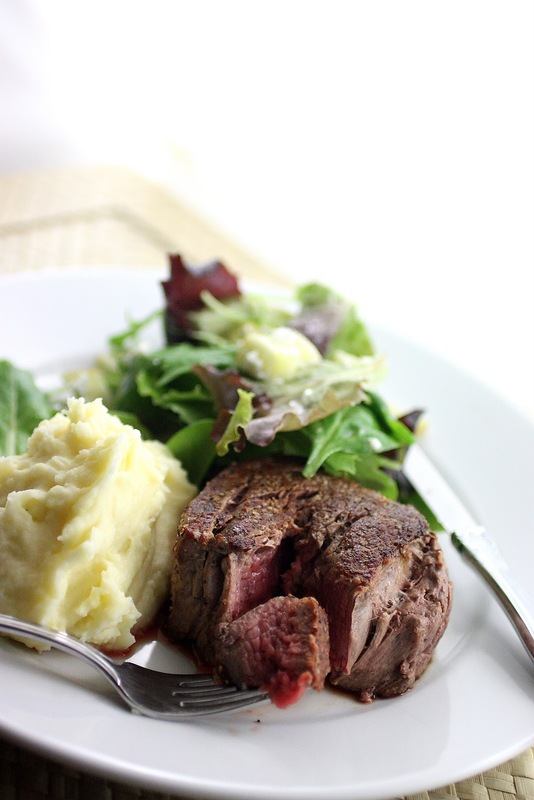 As such, I wanted to go ahead and share some information with you about this steak you see pictured here. It was delicious. Really, really delicious. That is all. For real, though. If you live in Georgia, I suggest you look into White Oak Pastures Beef. If our family is going to eat beef in the future (and we will, I can guarantee it), then it will come from this farm or from one like it. Pasture raised, grassfed cattle that are humanely handled. It may be more expensive (let’s face it, it IS more expensive), but it’s worth it to know where it comes from and how it is raised, handled and processed. Did you watch the Golden Globes last night? Did you see Claire Danes win for her role as Temple Grandin in the film of the same name? Did you know that Temple Grandin helped design the animal handling and processing facility at White Oak Pastures? Well, now you do. Cool, huh? Okay, onto the cheese recipe. 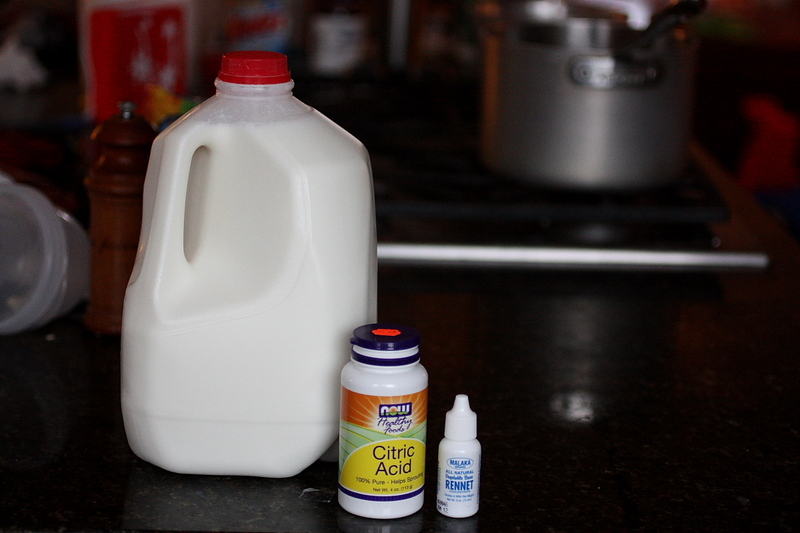 Begin with a gallon of whole milk and some citric acid. I’m showing the rennet here (the small bottle on the right) because I have used it in making ricotta before, but I didn’t use it here. 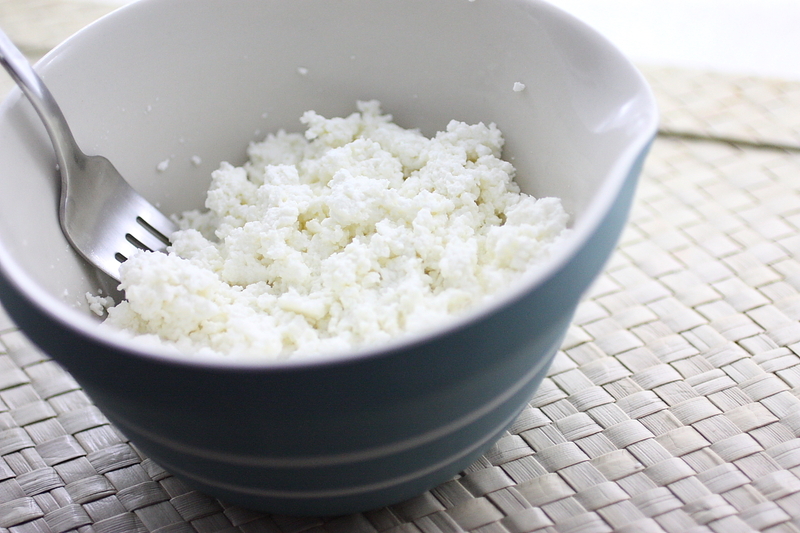 In the past I’ve had a hard time getting the curds to form, and have added the rennet (about 1/8 tsp diluted in 1/4 cup water) to help with that process. Today it wasn’t necessary. 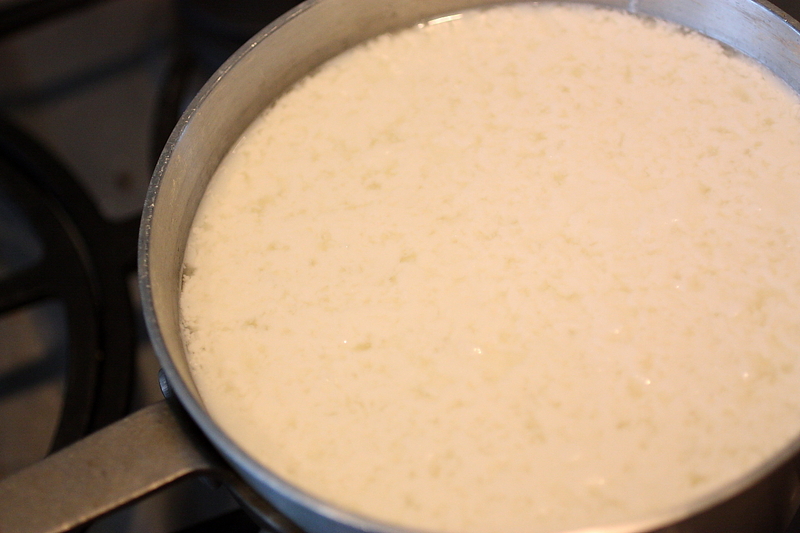 Dissolve 2 teaspoons citric acid in 1 cup water and add it to 1 gallon of milk in a saucepan, stir to combine. Add 1 tsp. salt. Turn the heat to medium-low and stir to prevent scorching. 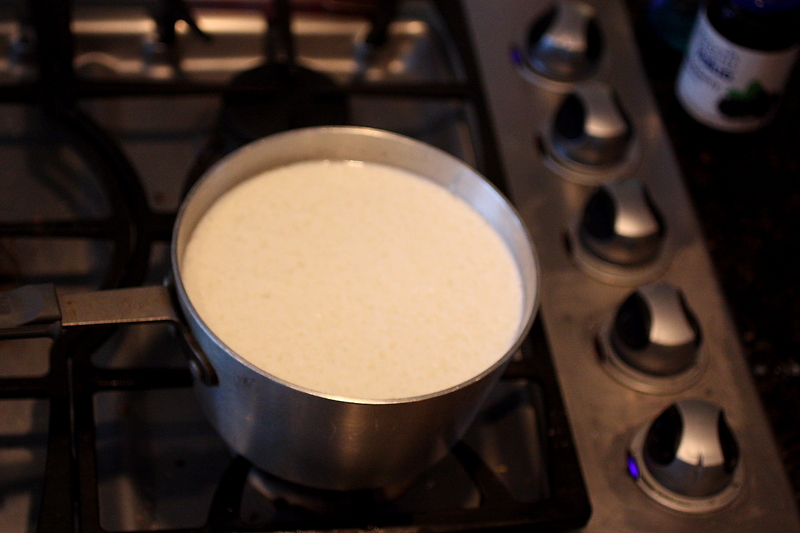 Heat milk to 165-170F (I don’t use a thermometer, I just look to see if the curds are forming). It will begin to look like this. 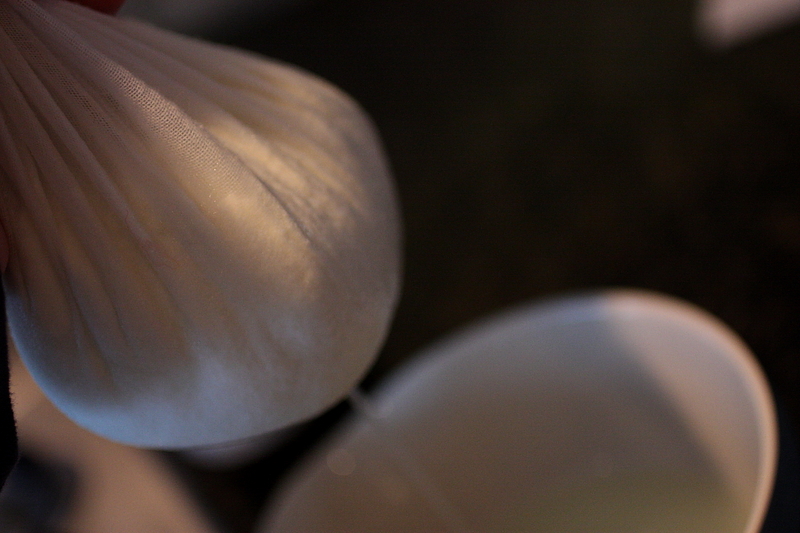 You can see the curds separating from the whey here. Continue heating to 190-195F and turn the heat off. Let sit for 10 minutes or so. 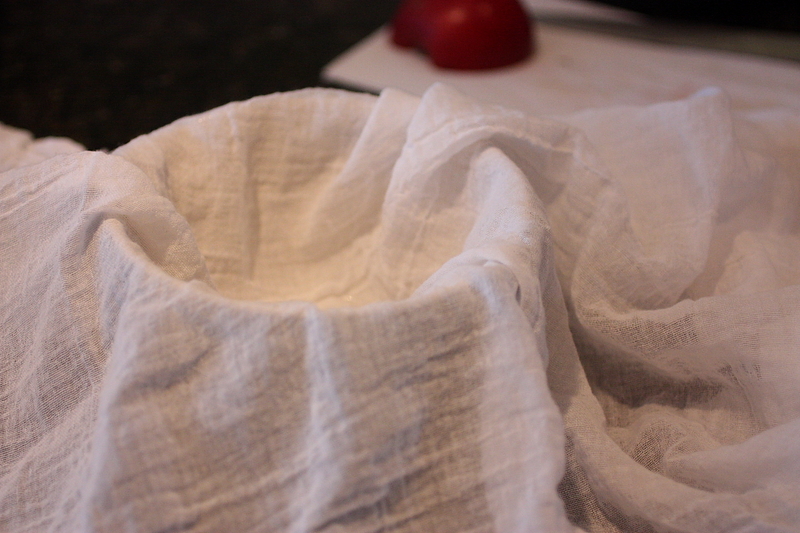 Line a bowl with cheesecloth. 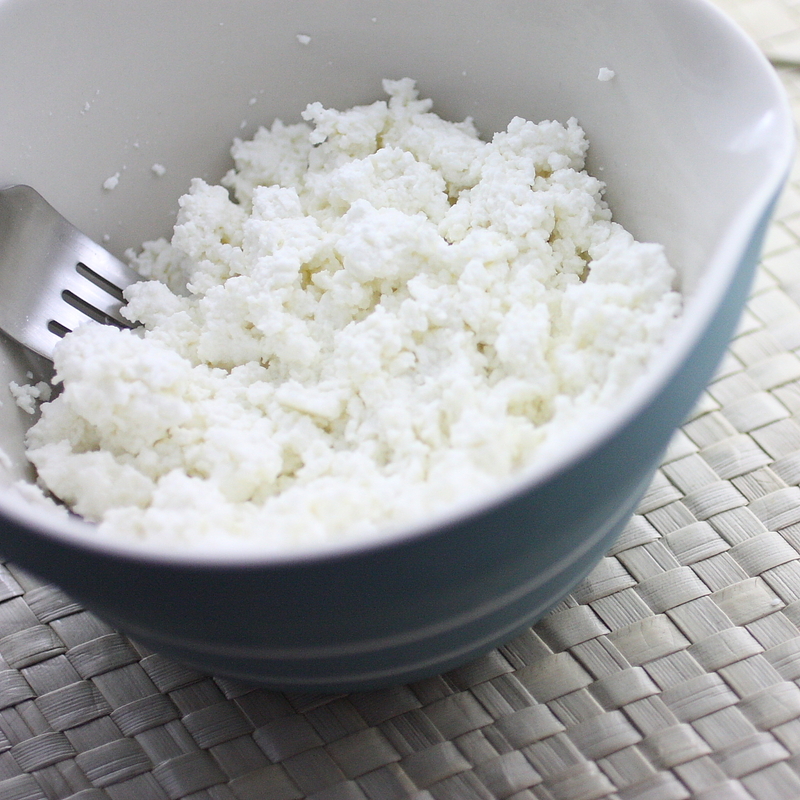 Remove the curds from the whey using a slotted spoon and place them in the cheesecloth-lined bowl. 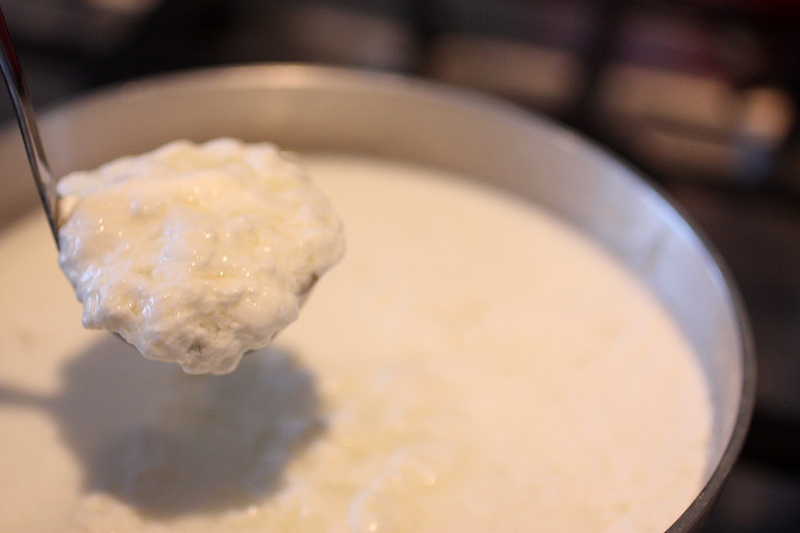 Allow the whey to drain from the curds.